Because we all want to be on the top of our game! You can take back some control when everything seems crazy. How’s that for a blog post title! It’s about what you select to do. I think we could all use a little more focus. Wow, spot on with some of these! Yoga may be that source of magic we need. Sometimes “nothing” is the best and only thing we need. + Are Rest Days Necessary Even If I’m Not Sore Or Tired? That’s a toughy, but Taylor clears it up! You know how I feel about this one! Hahahaha! I’m a combo of a few! How about you? + How Long Do Things In Your Fridge Stay Good After Their Expiration Dates? Ah, my life! Love it! The green veggie I always forget about! This is a great list for easy swaps and uses too! 10 great habits (from an RD) to try if you’re struggling! One day it will be easy! Not responding, too many sponsored posts (sadly recently a few of the bloggers I read have ONLY been posting sponsored crap), automated messages…the list goes on! Have you heard of IFTTT? Sounds interesting! I need to just print this post out! If you want to take it up a notch and be professional! You can get some great content from watching people! + What Are Your Creative Values? What will you not compromise on in your blogging and creative space? Well this is pretty helpful! That’s what blogging is really about anyway. Love this! We need to keep beautiful moments alive! Hahaha, just a funny video! 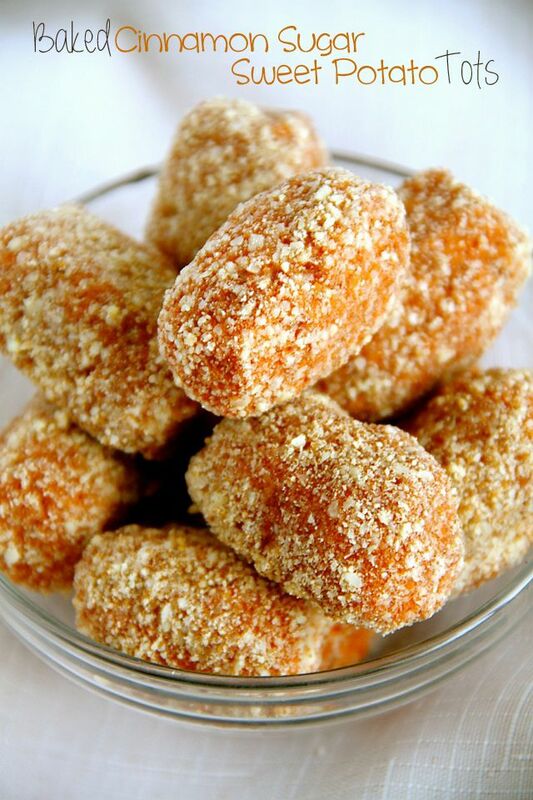 Baked Cinnamon Sugar Sweet Potato Tots. O my heavens! 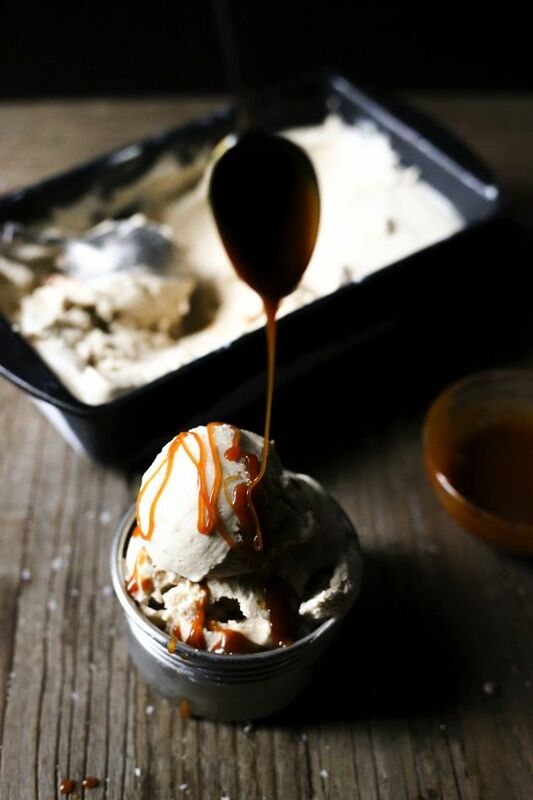 Vegan Salted Caramel Ice Cream. Look at that drizzle! 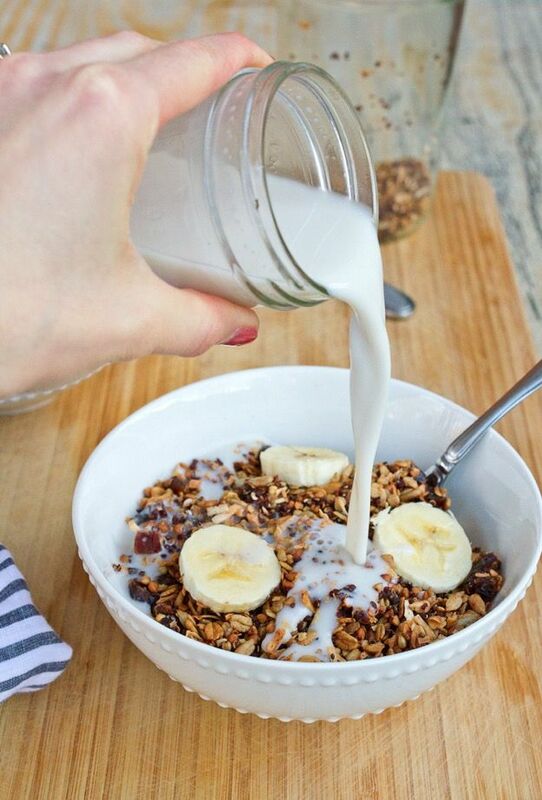 Homemade Gluten-Free Cereal with Quinoa, Buckwheat, & Dates. You know I’m in love with this! 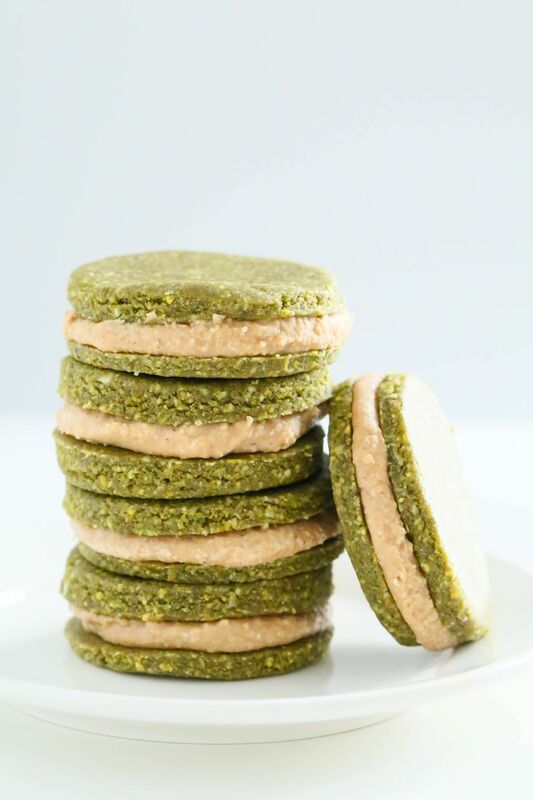 No Bake Pistachio Cookies. These are so perfect! I love pistachios! The Million Dollar Everything Bagel Potato Chips. Yummo! I can smell these from here! 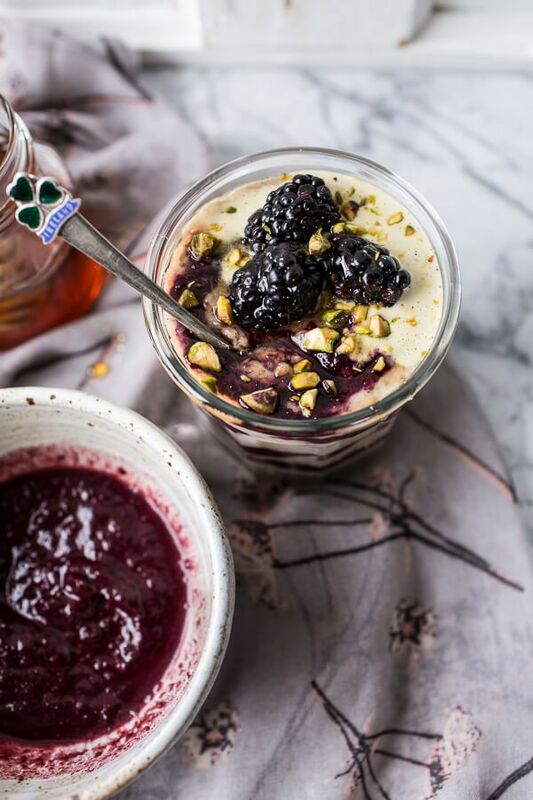 Black Tea Infused Irish Porridge with Acai Berry Ripple + Pistachio Cream. This just screams EAT ME! Peanut Butter Banana Crumble for One. The cutest breakfast or dessert! Chocolate Peppermint Macaroons. Loving the chocolate mint combos lately! 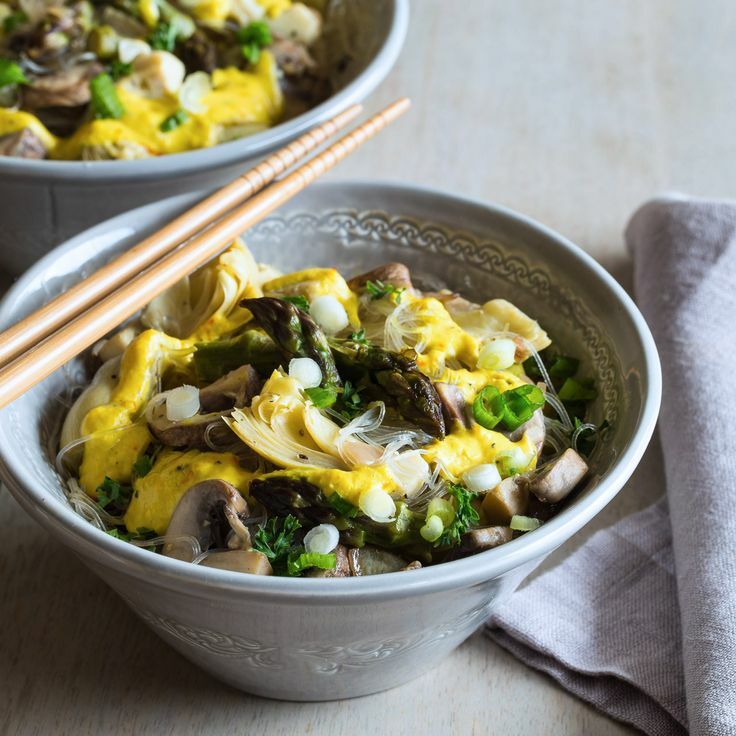 Mung Bean Noodle Stir Fry with Saffron Cashew Cream. So fancy and exotic! + I got to do some cooking and created some new recipes! I know I have plenty now to get me through the rest of the semester to have for the blog! + I loved this post…and giveaway…which you should enter NOW! + Tell me something fun you did this week or will be doing this weekend! I love your Friday Finisher feature! It’s inspiring. Thanks! Haha, this is last week 😉 I’m no longer in NJ! Always so many great links in your Friday Finisher. Now I just need to find the time to explore all of them! And yea I don’t do anything of these annoying blogger things, but I certainly have to step up my response game. Haha, thank you 😉 They’re always here when you have time! I hear you on getting ready to feel refreshed in spring! Thanks for including my green tea recipes in the round-up! Haha, right? Funyy and true! No spring here yet in NH but that’s ok because we love to ski! The weather was crummy today so we went and saw the new Cinderella. I am going to have to come back by to check out some of the blogging posts you linked too. Looks like some fantastic tips. O haha, how was it!?!? My best friend’s baby shower is this weekend and I’m pretty psyched. She is the first close friend to have a baby so naturally, I had to buy her ALL the gifts! That’s so exciting and fun! Haha! I cannot wait until the sun comes out where I live! So many of your links and pins look so very tasty! I wish the sun was always out! To me there’s nothing better! I am away for the weekend, sans children. Hopefully I will actually have some time to go through all these amazing links!!! All this food looks so good and so scrumptious! oh my gosh all that food is making me HUNGRY! Glad you’ve enjoyed your week in NJ! It’s definitely been a nicer weather week. Out of the 10 annoying blogger things my pet peeve is definitely vague blogging! It just strikes me as being manipulative and dramatic! I say either tell the whole story or don’t say anything, just my opinion 🙂 I also liked the “how to comment” post and my sister actually just texted me after reading my blog saying she can tell right off the bat in the comments who read the post. Interesting! It’s so hard to keep up with reading/commenting in general for me. Haha! That one isn’t in my top! There are so much WORSE offenses! With our very spring-like weather all winter, I think we may go biking this weekend where there should have been snow! I would have loved to go biking!!! I am excited to read the blogging posts. 😉 Happy Friday! Great, thanks, that’s eactly what I didn’t need today: waaay too many interesting posts to read. As if I didn’t have enough open tabs of my own already 😀 . In all seriousness, though, you found some good reads again. Which I’ll read -after- trying to catch some sun on a walk outside. Happy Friday! 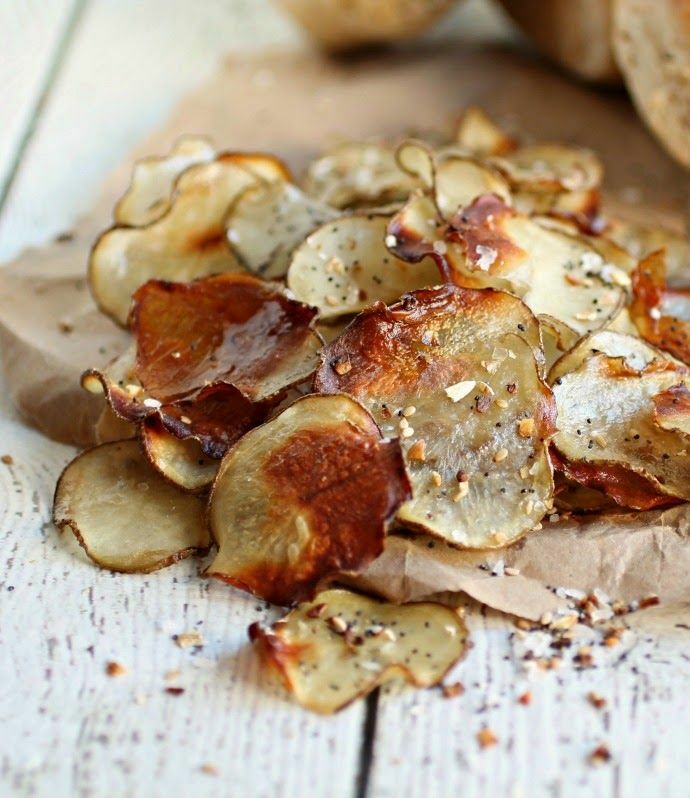 Um, those bagel chips though. I would devour those. And man I miss spring breaks! Not finals though. So I guess that’s a fair trade. Thanks for the links! A few of the blogging ones look interesting, so I’ll have to check those out. Haha, I feel weird if I don’t answer every one. Even though I know not all comments warrant a response either :/ Just a habit now! I’m looking forward to getting in more runs outside when it’s time! 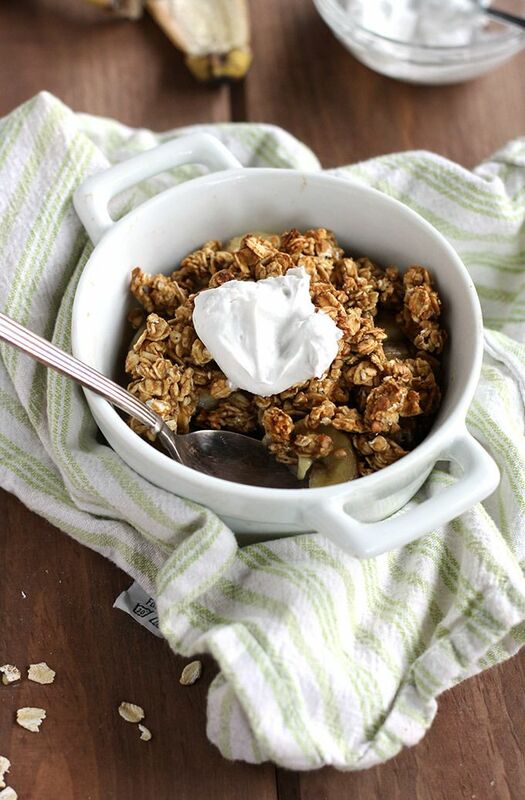 That homemade cereal is perfection and I must make it ASAP. Have a great weekend! The cereal would be a perfect way to fuel those runs, haha! Don’t take this the wrong way, but I’m confused. On the BLT post you say you don’t eat meat since being diagnosed with Celiac, but then you post recipes and links with salmon and chicken?? I’m not trying to be an annoying vegan, but I’ve just been wondering this for awhile so i thought I’d ask. I don’t eat “meat”. I only eat fish (no seafood) and chicken. No other animal products in my diet 😉 I’m a complex foodie! Great links! I will be reading the one about the expiration dates and those pistachio cookies look amazing! Those cookies totally do look awesome! Yay for sunshine! We’ve had some here too! And I’m definitely going to have to try those sweet potato tots. YUM! Wow – SO much to check out in this post! This will be fun to go through over the weekend when I have time to explore! Thanks! Great connecting with you via The Blogging Elite on Facebook! Thanks! I hope you find some great stuff that interests you! Gosh Rebecca, there are soooo many wonderful links here! I’m bookmarking this page so I can come back and click through most of them! Have fun in New Jersey! I miss spring breaks haha..it’s hard to believe I was a student this time around last year.. I hope you find some great stuff in the posts! I wish it was longer! One week is not enough! XOXOXO Have a beautiful weekend! I’m so happy that it’s finally warming up! Didn’t it feel like it was just yesterday when we were stuck in a snowstorm and slipping on ice!? Great collection of reads and recipes as always! I wish Whole Foods was closer to me!! I’ve heard of IFTTT, but haven’t really looked into it yet! Will definitely be reading that one too! Yes! Hahaha! Mother Nature and Father Time are strange beings! In NJ, I don’t even care if I have a Whole Foods anymore! My grocery here is simply amazing and I took it for granted! I’m dieing to be able to take walks and WRITE outside on a bench again in the sun! I loved doing that and miss it so much! secretly hoping i win that tahini! i’ll trade you bites for it? LOL! 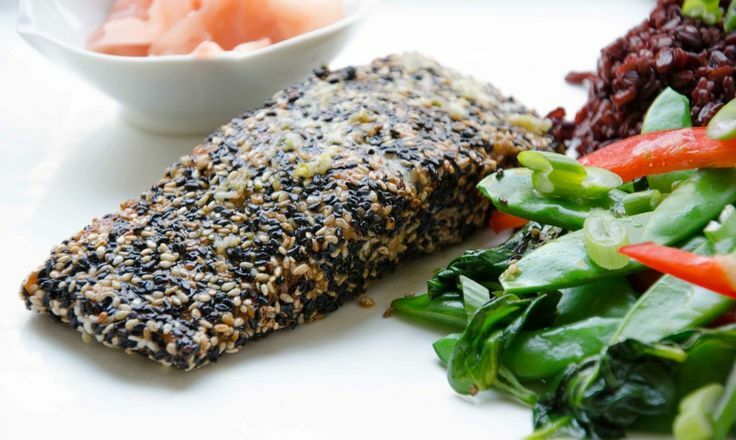 and yay for sesame salmon! 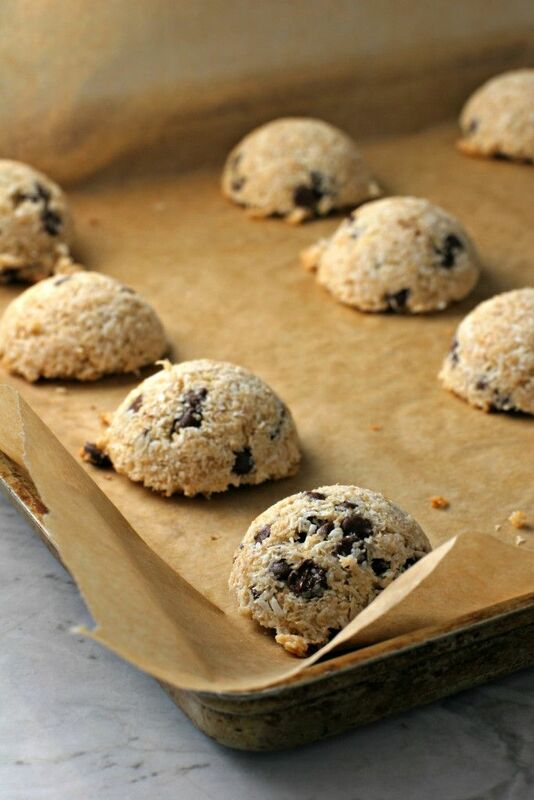 cara’s recipe is drool tastic! Girl, that’s a deal! Haha! I couldn’t be happier that temperatures are finally rising. HELLO SUN!! Yay. Glad to hear you’ve been sleeping well… there’s nothing like the feeling being at home in your own bed. Thanks for linking up! Happy Friday! I just want to kiss the sun! Haha, I only have one more night in my bed now 🙁 I sure will miss it! All I know is I got all the papers that needed to be written DONE! So now I just have to wait for one more assignment in one class and I’m DONE with all things I have to “hand in” WOOOOO! Agh! So many wonderful articles to read as always, dont know where to start! I will say that I also loved that recipe on Lindsays blog, looked so good!!! 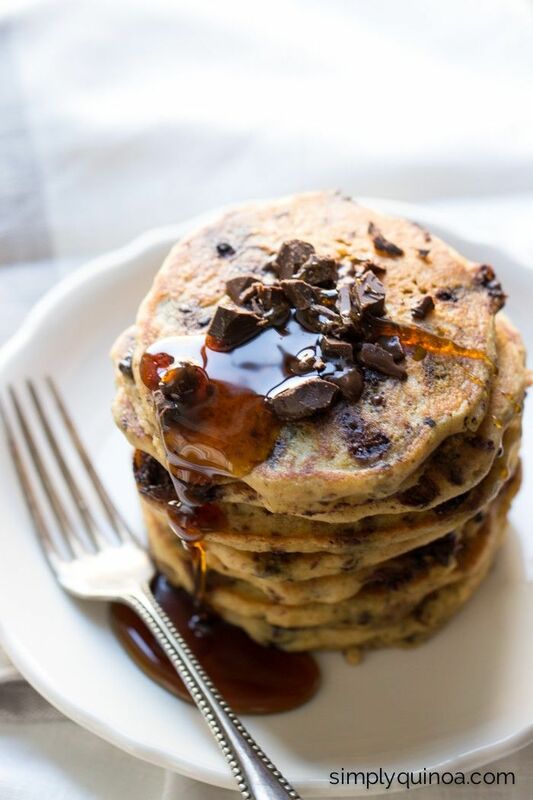 As did many of your others….including pancakes, I ALWAYS love pancakes! Love looking through the blogging articles, as I dont really come across many of those in my everyday life. Thanks for sharing! There’s just so many articles every week 😉 Especially in blogging topics! Photography will always be a struggle! I just don’t have the SPACE to take the photos I want! O, you will own that essay 😉 Yesterday was a total bore of a day and I did nothing…but I DID write a paper that is due in April for my own class! WOOHOO!